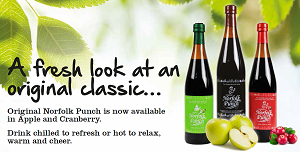 A warm welcome to the Norfolk Punch website! 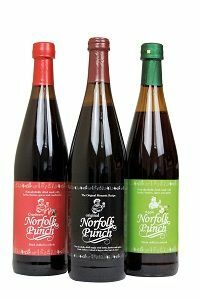 Original Norfolk Punch is a healthy, non-alcoholic herbal drink first made by the Benedictine Monks of Welle Manor in the Fenlands of Western Norfolk at least 700 years ago, who believed Norfolk Punch was “nature’s answer to tenseness, tiredness, and lowness of spirits”. Also available in Apple and Cranberry flavours. Drink chilled to refresh or hot to relax, warm and cheer!